Perfect for home and office use! 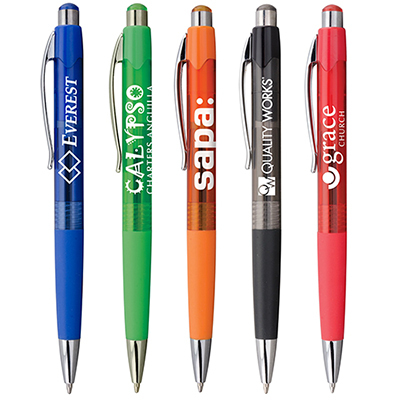 Whether you want to raise brand awareness or funds for a cause, the Screen Printed Savino S Pens will complement your purpose perfectly. 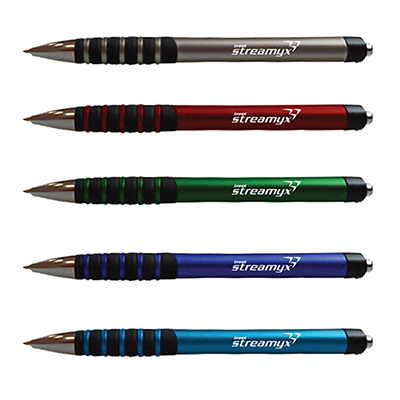 The Savino S pens feature a silver barrel with color grip and color accents. The pen comes with a black medium point ink that lasts longer and writes well. 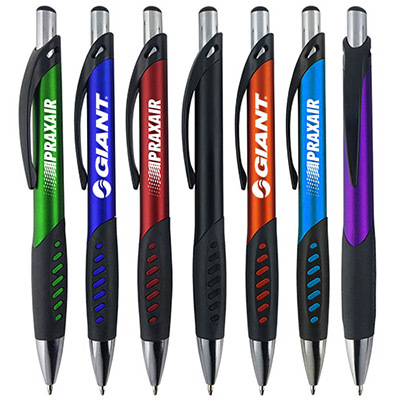 These pens are available in six vibrant colors-Red, Green, Blue, Yellow, Light Green and Orange. 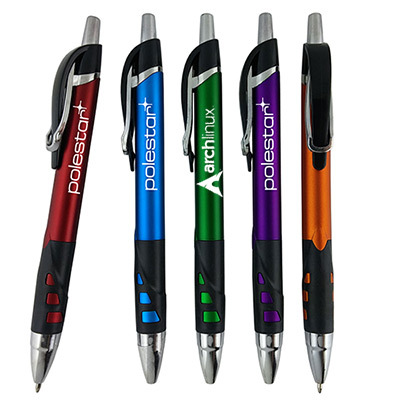 Get your company name featured on these pens for outright publicity. 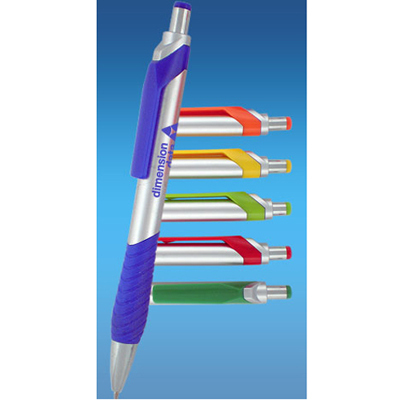 We offer huge discounts on bulk purchases so place your order for Personalized Click Action Pens now! "Excellent pens! It was a great fit for my promotions."